Copies of the appeal were also directed to the Commissioner for Human Rights in the Voronezh Region, the Head of the urban district of Voronezh, the Chairman of the Presidential Council for Civil Society Development and Human Rights and to the Commissioner for Human Rights in the Russian Federation. Human Rights House in Voronezh is a community-oriented social and civic, charitable and human right defending organization known far beyond the borders of Voronezh and the Voronezh region, which is one of the largest and oldest center for the conservation and protection of the rights of citizens in Russia. Recognition of this fact is the International Youth Human Rights Movement (MPD)’s nomination for the Nobel Peace Prize this year. The development of this project in 2013 was greatly supported by the Voronezh Human Rights House. “The activity of the participating organizations of HRH is known in Russia and abroad and provides a positive image of the city, the region and the country as a whole, it supports the thesis of the important role of civil organizations in strengthening mutual understanding and trust between the state and civil society. 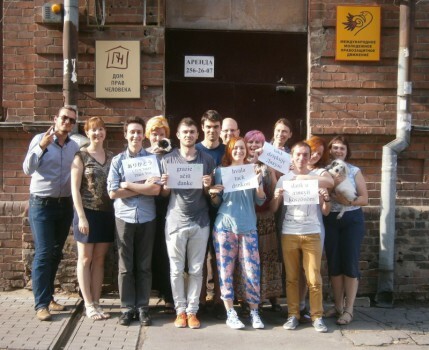 Thanks to the work of our colleagues from HRH we know about Voronezh as one of the centre of social activity in Russia “, – said one of the organizers of solidarity actions in Homel human rights activist Leanid Sudalenka.